Yum, yum. This is Scrumptious Pasta and Sauce! 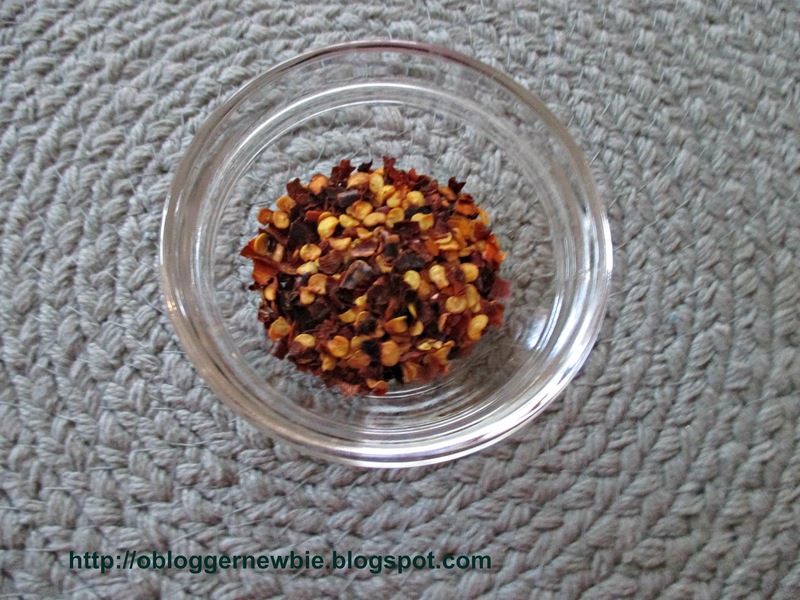 Want to prepare a sauce that's packed full of nutrition, and looks, smells, and tastes great? It features the bright Mediterranean flavors of tomatoes, basil, garlic, and crushed red pepper flakes. A secret ingredient, pinto beans, adds deliciousness, heartiness, and increased protein. Beans make the sauce a perfect thing to combine with pasta, legumes, veggies, brown rice, and many other foods. All beans provide a powerful helping of plant based protein, so perhaps this blog post will encourage you to eat beans more often. Look below to see how easy, cost effective, and fun it is to cook with them. You might be tempted to keep the sauce ingredients on hand to enhance the taste of all your favorite veggies. I revealed my secret ingredient so you'll try it. Maybe it will be your clean eating go-to gravy. One I love so much. 1 12 oz. package gluten free pasta (I used organic brown rice and organic quinoa mix fusilli) and fresh water to cook it in. Notes: Feel free to add other veggies if you like. A few ideas are red pepper, string beans, kale, capers, and celery. When you add additional veggies, it makes the sauce thicker, increases nutrients, and heightens taste even more. I always use organic ingredients when available, because organic means produce is not genetically modified, not sprayed with chemicals, and is not grown in soil that contains chemical fertilizers. 1. Open diced tomato cans, tomato sauce cans, and rinse fresh tomatoes. If you're using fresh tomatoes, chop them in the bowl of a food processor until chunky. Place all in a large saucepan that has a cover. Add minced garlic, red pepper flakes, and bring all ingredients mentioned in this step to a boil. Stir and turn heat to simmer. Then cover and cook for 15 minutes. While tomatoes are simmering on the stove top, do the next step. Note: Select fresh tomatoes that are bright red in color. This is a signal that they have ripened fully and are loaded with a valuable nutrient called lycopene, an antioxidant that helps prevent cancer and lowers unhealthy cholesterol. Cooking tomatoes for at least 30 minutes releases more lycopene than cooking for less time. That's why my recipe suggests you cook tomatoes for 30 minutes total. Canned tomatoes are picked when at the peak of freshness and can be used when you don’t have fresh on hand. I buy only those that are packed in BPA free cans, because bisphenol A, a synthetic estrogen found in the epoxy coating of food cans, has been linked to many health problems. Many companies have publicly pledged to stop using BPA in their cans, but check to see that the ones you buy are labeled BPA Free. 2. Rinse canned beans, mushrooms, and all fresh veggies in cool water. Prep zucchini and carrots by washing and scraping off sand and dirt with the side of a knife. Keep as much skin on as possible, as it contains fiber and nutrients. Peel onion and garlic. 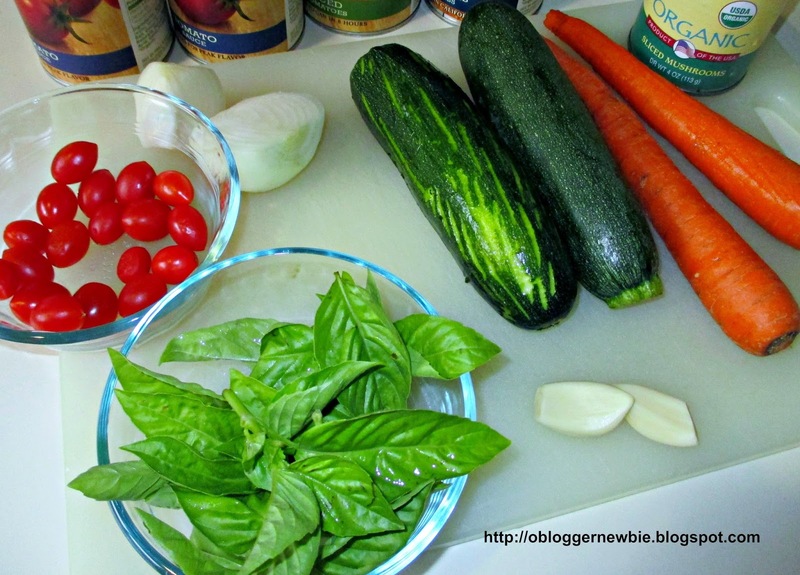 Rinse basil and any other fresh herbs and veggies you want to include. Put all remaining ingredients except pasta in the bowl of a food processor and chop until they reach a consistency that you like. I like to see little chunks of veggies in my sauce as it adds bright splashes of color and texture. Chop as fine or as chunky as you wish, but for 2 minutes max. Pour veggies into simmering pot of tomato sauce, mix, and cover. Bring to a boil again and simmer for 15 minutes more. 3. While veggies, beans, and tomato sauce mixture is cooking (the last 15 minutes of the cooking process) put up a large pot of fresh water to use to cook the pasta. Follow the package directions (the package of fusilli I used stated that 1/2 cup of dried pasta is one portion and to cook fusilli from 7-10 minutes). It's best to test pasta for doneness at 7 minutes, so it doesn't get overcooked. When done, place pasta in a colander and strain. Put individual portions of fusilli into dishes, top with sauce, and serve while still piping hot. 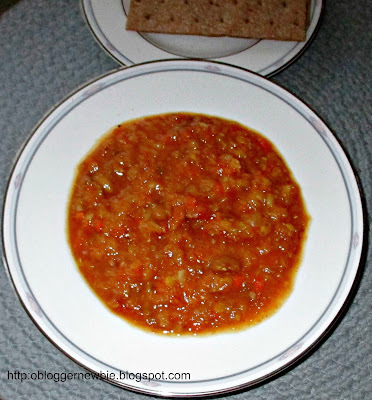 Right below is another way I used my versatile vegan tomato sauce, a day later. 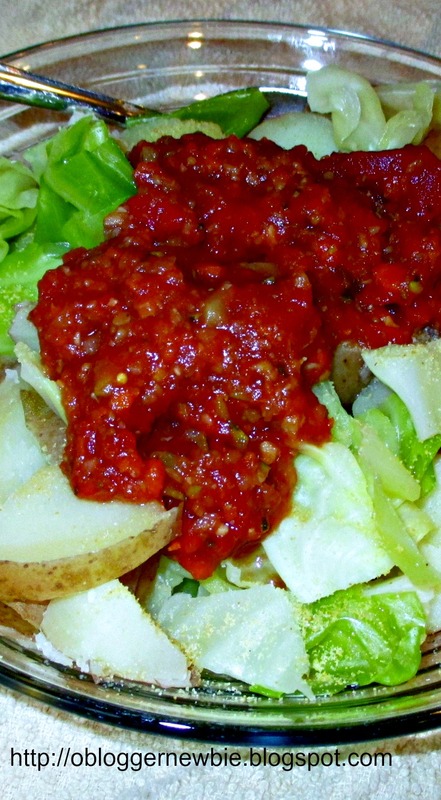 A few days later, I served the remaining sauce on steamed green cabbage and red skinned potatoes. It looked fabulous and was so delicious. I seasoned the dish with organic garlic powder, 1 teaspoon of extra virgin organic olive oil, freshly ground black pepper, and a pinch of Himalayan Pink salt. When you tabulate the cost of a home-cooked meal like this to meals that have been processed commercially and frozen, or eat a similar meal in a restaurant, you'll realize you come out way ahead of the game by eating at home. You save money, are eating real food, and can trust the quality of the ingredients that are in it. 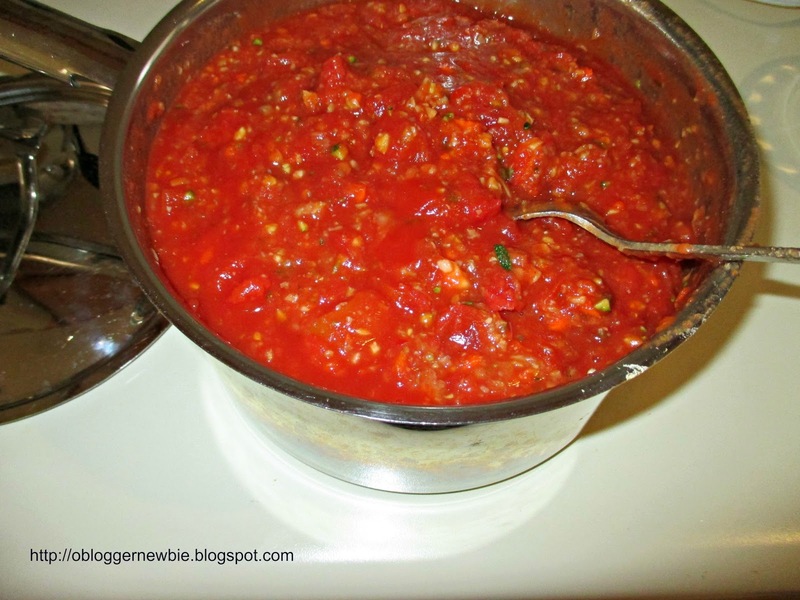 My secret ingredient protein tomato sauce recipe only takes 30 minutes to prepare, so you save time too. Refrigerate extra sauce, as soon as you're finished making it. It will stay fresh for up to four or five days. Have fun inventing new ways to serve it. Other ways to use it might include to put it into gluten-free burritos or organic corn tortillas, or use it to top off spiralized zucchini. 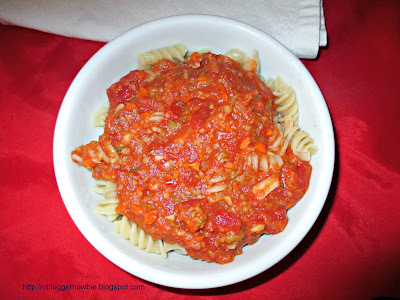 Don't forget to let me know what you think of my "secret ingredient" vegan tomato sauce. This is how to do it. Scroll down at the end of this post and write in the space that says "enter your comment." Then, click on "publish" after you've written your comment. Thanks so much. Does muggy weather or the dry heat days of summer, just like we have in Tucson, make you feel edgy? Is your reaction to another person's behavior making you feel hot under the collar? Are you frustrated or overwhelmed by unfinished projects at work or at home? Perhaps family obligations are more than you want to deal with right now. Maybe you are doubling up on work to pay down credit card debt or watching every penny so that you'll be able to send a kid to college. Don't delay. 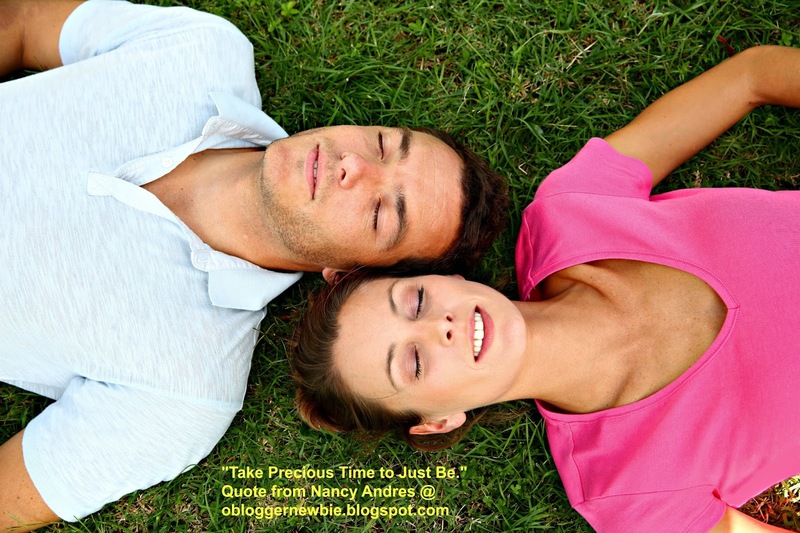 Check out my ideas for free or inexpensive ways to really relax. At times, we forget to give ourselves permission to take a 5 or 10 minute break . Take all the time you need to read the definition of relax and breathe deeply. Stand up for a quick stretch to relieve muscle tension. Reach for the sky and down toward your toes. Spreading your arms wide with palms toward the sky, helps you release trapped energy you've picked up from sitting too long or stressing about things you are powerless over. Run in place, when you feel sluggish, stale, or foggy headed. Aerobic exercise releases endorphins, the feel good hormone. Power walk (even 5 minutes will do) to speed up metabolism. If possible, get outdoors for exercise. Nature is a natural healer, one that doesn’t cost anything. Take responsibility for your well-being. Once you're in motion by moving outdoors, your spirit and body will thank you. Put your feet up, against the wall to do a restorative yoga pose, Viparita Karani. All this pose requires of you is to do no more than rest and breathe. Relax in this pose for 1 or 2 minutes at first. Then gradually rest for 5 or 10 minutes at a time. Feet up the wall pose changes the effect of the pull of gravity on your circulation. When you stand, gravity tends to draw blood toward your feet. When you invert yourself in this pose, blood tends to be flow in the opposite direction, toward your head. Read this article from Cindi Lee to Check Out Proper Body Alignment at Yoga Journal Before Doing this Pose. Learning to do something new requires practice, determination, and concentration. If your default setting is to be hard on yourself for making mistakes, you set yourself up for self-criticism, negativity, and tension. Adjust your thinking by observing how often perfectionism brings self-inflicted stress into your body, mind, and spirit. Eliminate the internal critic by telling yourself you are okay, no matter how long it takes you to learn new behaviors, move forward, and change. Treat yourself gently. 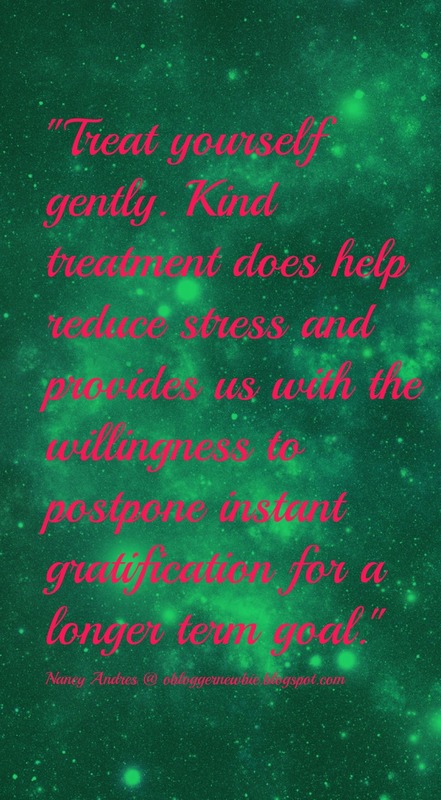 Self-compassion gives us strength to postpone instant gratification for a longer term goal. I've discovered that perfectionism is a fear-based behavior that I adopt when I try to control an outcome in order to receive love and acceptance from others. Whenever I realize I'm striving for the wrong reason, outward instead of inward approval, I can make a conscious decision to switch off perfectionism. As soon as I focus on my learning curve and appreciate my efforts to gain new knowledge, information, and skills, I become my own best friend. Your attitude and behavior influences your level of relaxation. 2. Let go of striving to fix or change other people, places, and things. When you can accept things as they are, you will find ways to be at ease about today's reality. 3. Make the choice to see the humanity in everyone and be kind and encouraging to others. 4. Bring passion to your own work and lifestyle. 5. Self-caring behaviors like those above and napping, eating a nourishing meal, and short breaks in daily routine, helps you refresh and renew yourself. Human beings are naturally attracted to those that are happy and smiling! Are you eager to work and play with people who have a positive outlook? Yes. Our relationships can stress us or satisfy us. If yours are bending you out of shape too often, perhaps you need to back away from some people and relationships, kick back, and unwind. 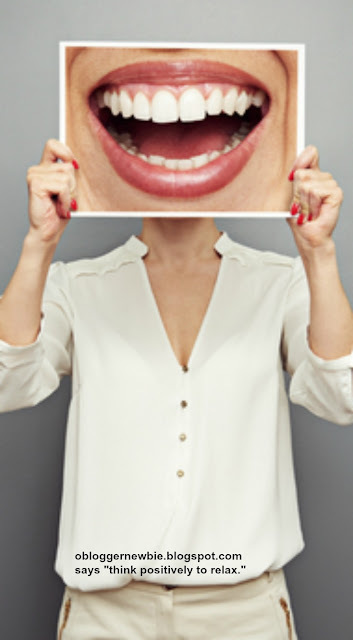 Note: If you're looking for hints about ways to communicate more effectively, see this article from Susan Heitler Ph.D. at Psychology Today, "10 Things to Say to Generate Good Feelings." 1. Put in a phone call to a mentor, life coach, or chat with a confidant. 2. Eat lunch with a pal or go to the movies with your best friend. 3. Decide to put a tense or stressful situation on the shelf for a short time, while you listen to your favorite music or dance up a storm. You may have a new perspective about the scenario, when you look again. 4. Indulge in a hobby, read a book, daydream, or work on a craft project. 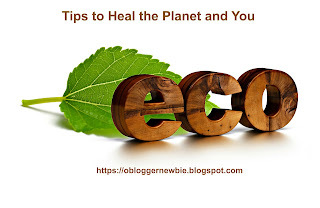 People who take good care of themselves by having downtime as well as work spurts, find balance, energy, creativity, flexibility, and resilience that is necessary to lead a healthful and happy life. Before you go, please comment, ask questions, or share whether it's easy or hard for you to kick back and relax. Why do you think that's so? I'd appreciate feedback, as it's challenging for me to take frequent breaks during my workday. I know I feel better when I do. I often get caught up in the creative writing process, and think I might lose my train of thought and enthusiasm if I take time away from my computer. Any input is greatly appreciated.